Santiago Roncagliolo came to the attention of an English speaking (or should that be reading?) 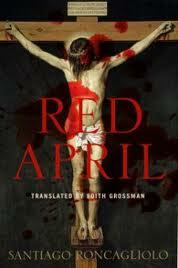 audience when his novel Red April won the Independent Foreign Fiction Prize in 2011, a translation from Edith Grossman that had originally been published in 2009. 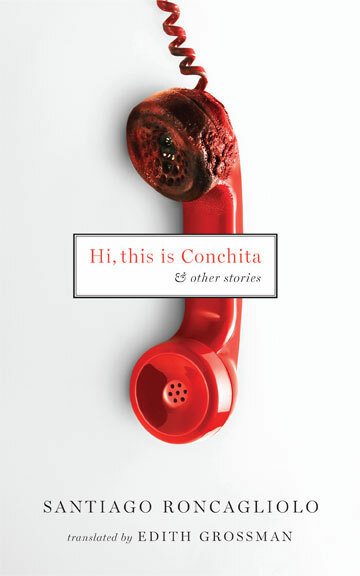 Now we finally have a little more of his work in English (to add to his frequent contributions to Granta) thanks to the appearance of a collection of stories, Hi, this is Conchita, from the same translator and new imprint Two Lines Press. (The first of what looks to be an impressive catalogue, with books from Marie Ndiaye and Jonathan Littell to follow). The would-be assassin and frustrated complainant find themselves in even more farcical situations, and, yes, you will not be surprised to learn that the calls eventually connect. Roncagliolo’s latest novel, Oscar y las mujeres, also seems to be in comic vein (and originally published electronically in episodes, though rather more quickly than Margaret Atwood’s Positron). It’s to be hoped that UK publishers will not be put off simply because he is a writer who is capable of more than one thing. This comedy is the result of the clash between the process of law, in which Chacaltana so whole heartedly places his trust, and the reality of life in rural Peru, a theme Santiago Roncagliolo will pursue throughout the novel. The reader also enjoys an unsettling relationship with Chacaltana when it comes to his personal life. He has a touching relationship with a waitress, Edith, but we also discover that his claim to have requested his deployment from Lima to be close to his mother is not entirely accurate as his mother died when he was a child. He has, however, recreated his mother’s room in his house and regularly speaks to her. Roncagliolo uses his relationship with Edith to indicate that this change is not a positive one. The novel comes to an appropriately violent conclusion, but by this time Roncagliolo has gone far beyond the serial killer genre with its thin layer of spurious psychology providing motive. This is a society where everyone is touched by violence and no-one is immune. By the end, ideas of law and justice are long forgotten. You are currently browsing the archives for the Santiago Roncagliolo category.